An anonymous type has a couple of limitations. Its only members are public, read-only properties. The type can’t contain methods or other type members and you cannot write to its properties. The anonymous type must be implicitly convertible to the type of a variable used to store the new object. In other words, the variable must either be implicitly typed using the var keyword, or must be of type object. You’ll almost always want to use the first option, since the resulting variable is still strongly typed. You can create an implicitly-typed array that contains an array of anonymously-typed objects. If you’d like to create a copy of this array, you can use the Clone method. This will create a new array of the same type and copy all of the anonymously-typed elements to the new array. 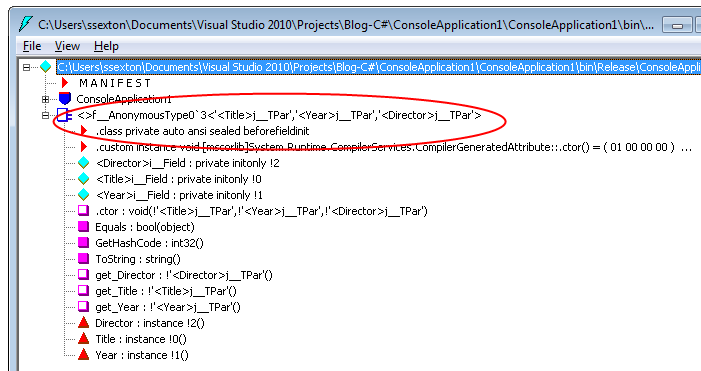 An anonymous type is a temporary data type that is inferred based on the data that you include in an object initializer. 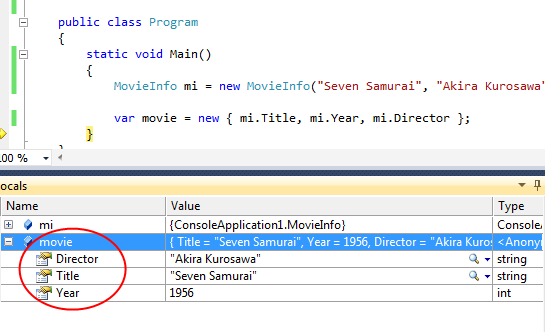 For example, the code below causes a class to be generated that contains three properties–Title, Year and Director. When you declare an object with an anonymous type like this, the compiler automatically generates the type for you. 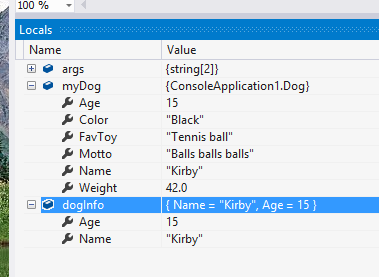 You can use ILDASM to look at the IL for this code and see the type. It has a fairly cryptic name. While the compiler creates a type to represent the object that you declared, you can’t reference this type explicitly in your code. One way to declare an anonymous type is to specify the name of each property of the new type, along with the value of that property, expressed as a constant. When you declare an anonymously-typed object, you can use any expression as the value for a property. 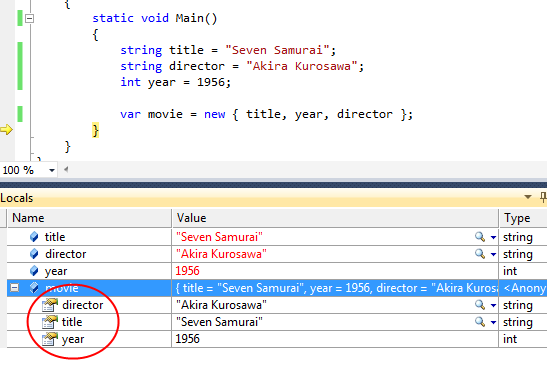 You can also leave off the named property and just include an named identifier representing a value. 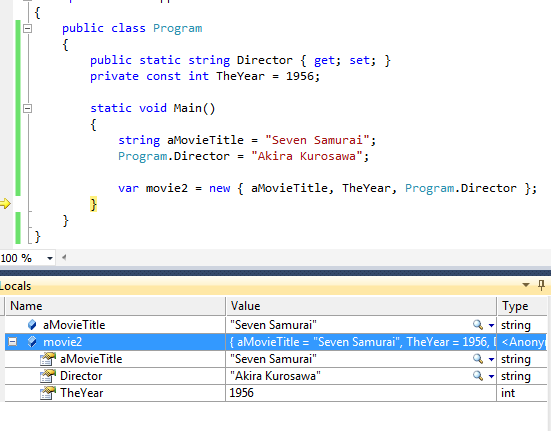 The property names in the generated type will match the identifiers that you use.